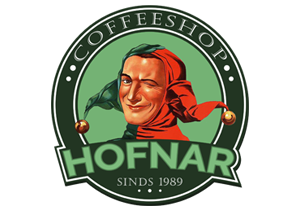 The Hofnar Company coffeeshops apply the following house rules. Visitors and employees must act in accordance with the rules of public order, good manners, decency and the rules of the establishment being visited. 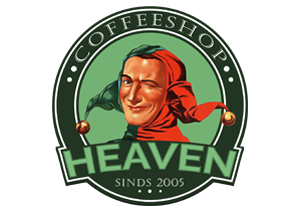 In this way our coffeeshops can guarantee an welcoming, hospitable and safe atmosphere to both our visitors and staff. The following paragraphs describe what sort of behavior exceeds the limits of decency. 1. Discriminating and fascist behavior towards culture, race or sexual orientation. 2. Threatening and threat or use of violence against our customers and staff. 3. Sexual harassment, sexist behavior or any other form of sexual violence. 4. Possession of weapons or other objects that can be used as a weapon. 5. Dealing hard drugs, possession and use of hard drugs is strictly forbidden. Visitors can be asked to show the content of their purse and/or empty their pockets. In case of refusal it is assumed in all cases that the content is against house rules and the particular visitor has to leave the shop. 6. Drunkenness, offensive, obscene or inconsistent behavior and poor personal hygiene and appearance according to the general standards. 7. Entrance for persons under the age of 18 and persons without legal identification. 8. Damaging or stealing property belonging to the coffeeshop , visitors or staff. 9. Traffic of goods without permission from the management (traffic in stolen goods will be immediately reported to the police). 10. Drinking alcohol and other leverages which are not purchased at the shop. 11. Taking pictures or video’s without permission from the management. 12. Use of one toilet by more than 1 person and use of a toilet for the other gender. 13. Gambling or play cards for money. 14. Violation or to incite or induce violation against the house rules. 15. Our coffeeshops are equipped with surveillance cameras. Persons who enter the shop agree to be recorded on camera for safety reasons. (in case of a crime the recorded camera images can serve as evidence). 16. 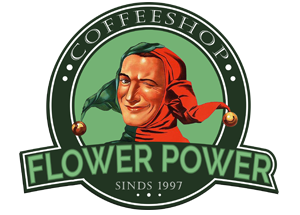 The management reserves the right to refuse access to the coffeeshops to (large) groups. 17. The management does not assume any liability for the loss or theft of personal belongings. House rules which apply to direct surroundings outside the coffeeshop. 2. Parking against traffic, in opposite of the driving direction. 3. Noise nuisance in the form of loud music or other noisy or loud behavior. 4. Blocking the sidewalk with bikes and scooters. 5. Any other form of disturbing behavior. Irregularities or breaches of the rules of conduct may lead to the refusal to access to the coffeeshop.